Hello all the Beauty Holics around the world! This time I will be doing the review of the "Milky Series" from Sweety and EOS brand. 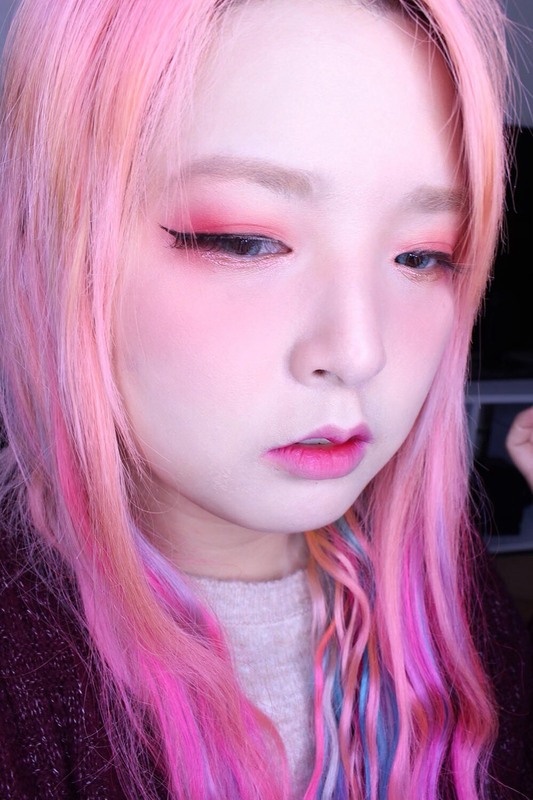 I feel like this review would be interesting for those people who are into the "Pastel Unicorn" look, so I hope it'll be useful for you guys. Currently UNIQSO is having the New Year's Sale where you will get $10 discount if you spend $50 on your purchase. Be sure to check it out and stock-up on some of your favorite beauty products! 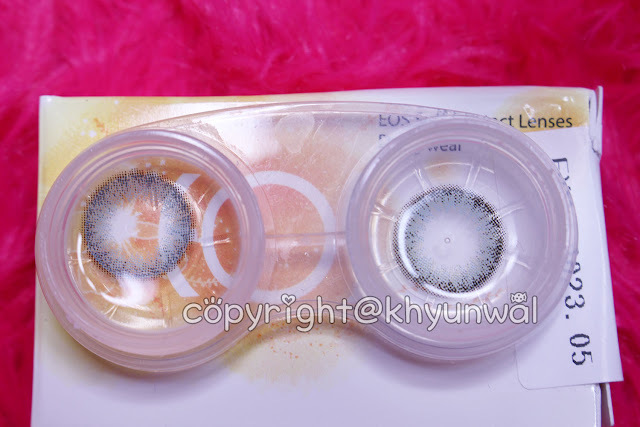 Also you can get 10% off from your purchase by using the discount code "khyunwal"
This particular lens design reminded me of the Sweety Nudy Ice series but with more colored added into it. It has very prominent black rims around it with the very variety of opaque colors. 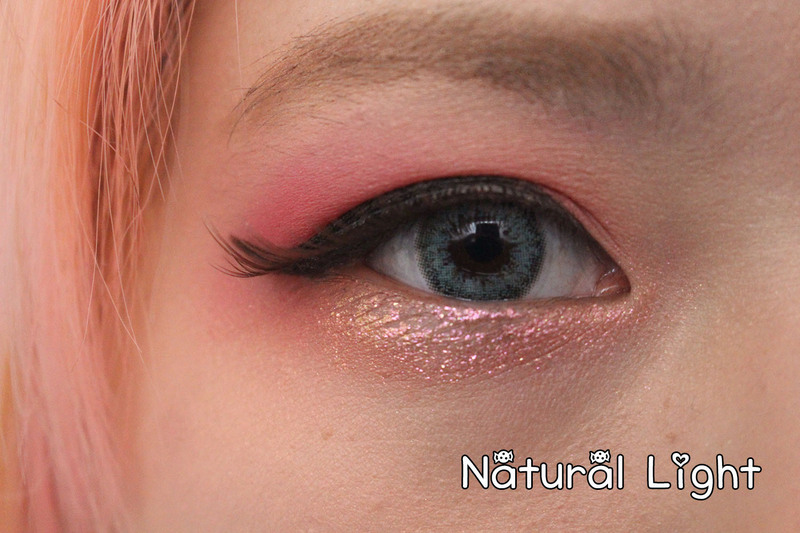 I loved how Sweety Nudy Ice series creates that dolly look with spark of colors into your eyes. And having more color variation for the fact it is 3-tone lens sparkled my interest to try out and do a review for anyone who maybe interested in trying out this series. Color, Usually green colored lenses are very hard to appear on dark colored eyes cause how complex it is for the color pigment to show up well on the dark background. Therefore, under the low light situation, base color of the lens does not appear as vividly. However depending on the color from this series the color appearance may vary. I feel like green color of this series would be more suitable for the people that are with the lighter eye color, if you are more interested in base color to show up well. But if you are looking for the subtle hint of green to your eyes, I think this will work out well. Design, I definitely found the design of this lens very interesting. 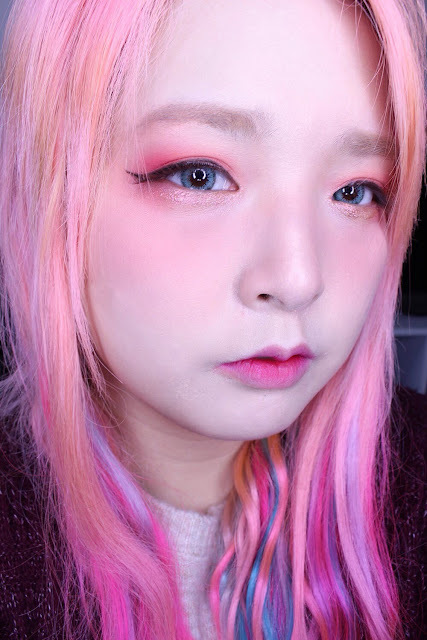 I have been trying out many different color lenses on this blog, and I have not seen a 3-tone lenses that are using this kind of design on them. As you can see the photos above, this lens has very vivid black rim around it. However, the actual base color itself is using the color dots spread around and it gets more spread in as it goes towards the center. I have never seen this kind of design which means it is trying to get more attention around the pupil area. 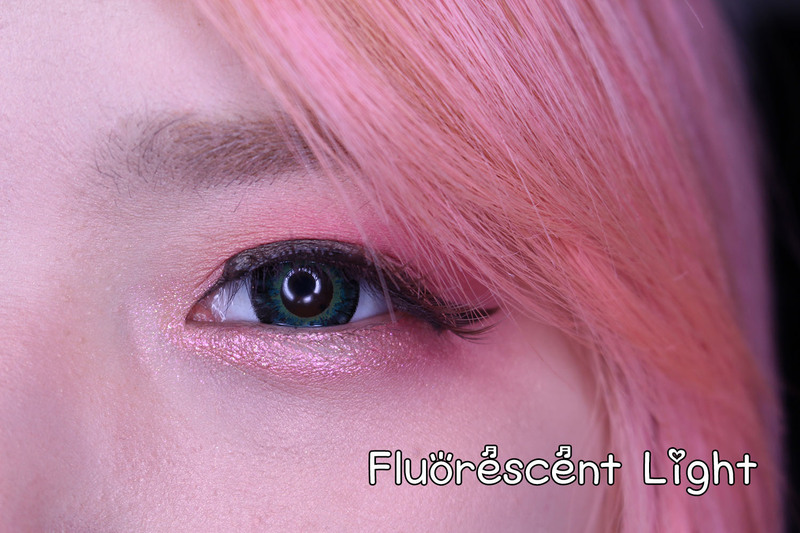 And cause of that design I feel like this lens will look really amazing on those people with lighter eye color. Enlargement, This lens definitely gives enlargement effect for the fact that it has very prominent black rim around it. 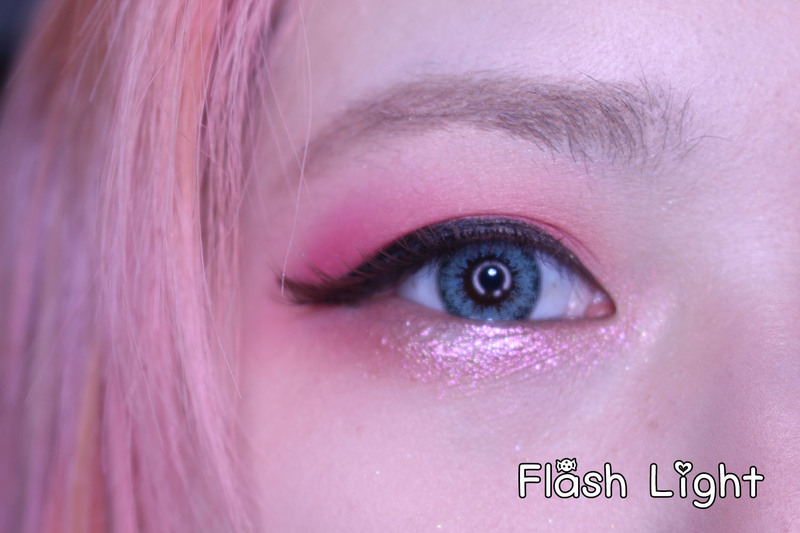 This creates my eyes to appear very doll-like, so this will work great for those people who wants dolly-eye appearance. I've been wanting to try this series for awhile because as you know, I have been really into more natural looking lenses with great color scheme for choices. And this series sparked my interested for the fact that it is creating that hazy, "Milky" appearance when you are wearing the lens. And I wanted to see if that look would be achievable on those with the dark colored eyes. Color, This definitely surprised in many ways. 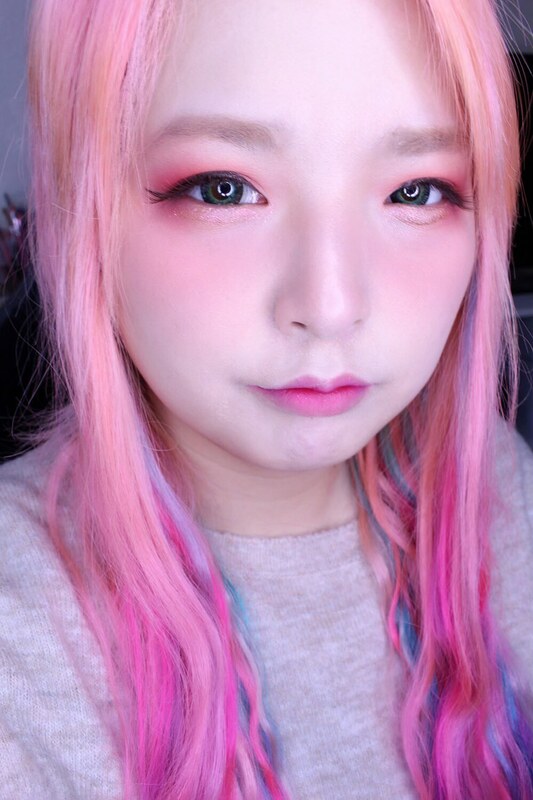 Generally from the past experience with other color lenses, it is quite hard to achieve the look that this lens is giving to my dark brown eyes. The color of this lens is very mystical sky blue appearance on my dark brown eyes. And at different lighting it does give that slight mint tone to it. I love color mint or any pastel color and this made my day cause it showed the color that its named after. 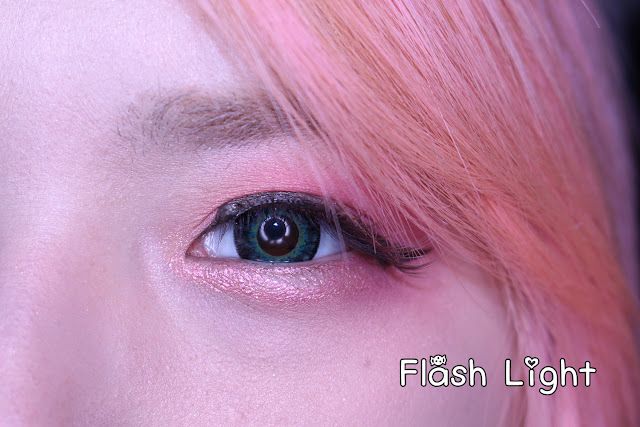 Design, Design of this lens is use many different fine colored dots. It actually uses the Dark grey and black dots to create the rim. And uses different sizes of mint colored dots as the base color. 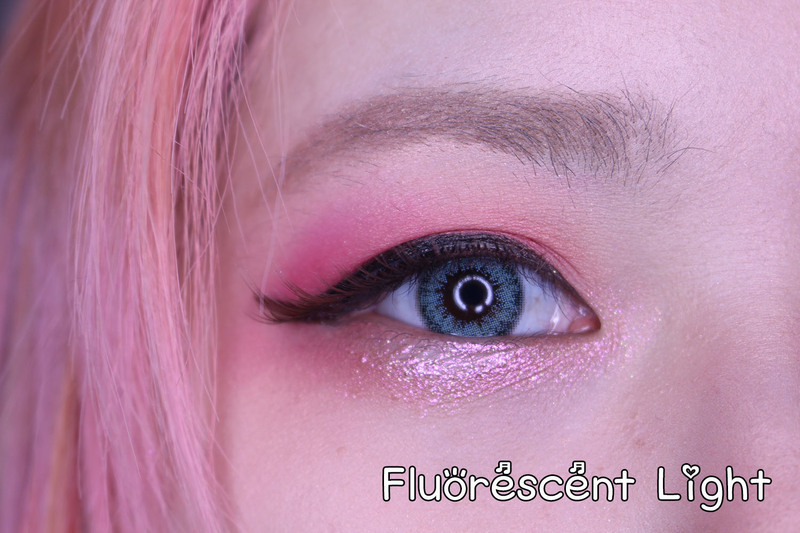 Also the base color is not so crowded around the pupil area which in my opinion is definitely more comfortable and breathable when I am wearing for the long time. The lesser color is being coated around the pupil area on the lens always feels more comfortable. Enlargement, This lens very natural enlargement effect on the eyes because it is using two different shades to create the rim. 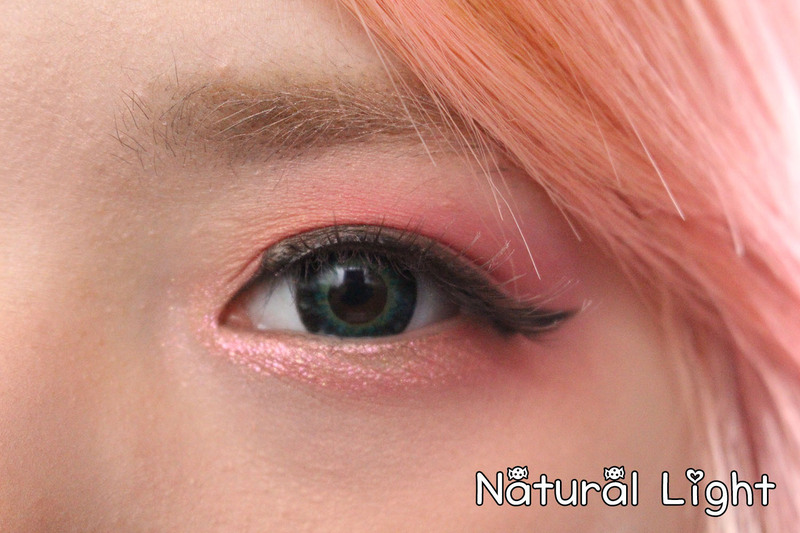 It does create more natural appearance but also makes your eyes to appear more sharp. This is definitely being used as my daily lens.